This recruitment is being conducted to fill two (2) Part-Time vacancies with San Joaquin General Hospital's Human Resources Department. Resumes will not be accepted in lieu of an application. A completed application must be postmarked or received online by the final filing deadline. The Departmental Personnel Analyst is a key member of San Joaquin General Hospital’s Human Resources Unit. Ideal candidates will demonstrate experience performing professional personnel and related administrative/analytical work preferably in the areas of labor relations, leave management, and discipline preferably in an acute care hospital or large healthcare facility. Please Note: This position is part of the Confidential Unit and is not represented by a Labor Organization. Job offers that are extended to positions in the Confidential Unit are contingent upon the completion of a fingerprint Live Scan Check.  San Joaquin General Hospital, a public hospital established in 1857, is a 196-bed general acute care trauma and certified Stroke Center providing a full range of both inpatient and outpatient services. In addition to providing direct medical services, the hospital is active in providing education for health professionals through post-graduate residency programs in General Surgery, Internal Medicine and Family Practice and has trained over 3,000 physicians since the residency programs were established in 1932. The hospital also participates in clinical affiliation agreements for training programs in a variety of health professions including Registered and Licensed Vocational nurses, Pharmacists, Radiology Technologists, Social Workers and Respiratory Therapists. San Joaquin General Hospital’s friendly staff is committed to creating a warm and personal environment which is sensitive to both a patient’s emotional and physical needs. At San Joaquin General Hospital, we are proud and confident of our tradition of serving and caring for our patients with courtesy, respect, dignity, enthusiasm, and a positive attitude. All of us at San Joaquin General Hospital are working to provide the highest quality health care services to the residents of San Joaquin County now and in the future. Coordinates a wide range of personnel-related administrative/analytical activities for a County Department; assists department staff in understanding and implementing personnel-related policies and procedures. Serves as a liaison to County Human Resources staff in areas such as recruitment, testing/certification, classification, salary development, labor relations and staff development; helps assure that department personnel activities in these areas adhere to County policy. Reviews and analyzes departmental policies, procedures, and organization pertaining to personnel services; recommends policy, procedure and organizational changes for management approval as appropriate. Advises department supervisors and managers regarding personnel matters, including disciplinary and labor relations issues as appropriate; helps investigate complaints and grievances on behalf of management; works with County Human Resources, EEO, and Labor Relations staff on such matters required. Helps conduct surveys and collect data; responds to surveys and inquiries from outside agencies; gathers information for classification or other studies; helps distribute/collect forms to/from employees; prepares comprehensive narrative and statistical reports; responds to a variety of correspondences. May participate in oral examination panels or interview sessions; may participate in and/or coordinate departmental employee training activities; may help monitor department grant and contract activities; may supervise the maintenance and processing of personnel and payroll records. Attends conferences and meetings, including those called by the County Human Resources Director regarding county-wide human resources issues, policies, and procedures as requested; may lead and/or participate on committees and task forces; may supervise subordinate staff. Education: Graduation from an accredited college or university with major coursework in public or business administration, personnel management or closely related field. Experience: One (1) year of professional personnel or personnel-related administrative/analytical work, preferably in a hospital or large healthcare setting. Substitution: Experience performing demonstrated complex para-professional public personnel, such as classification, recruitment, and/or test development OR administrative analytical work related to personnel may be substituted for the above-required education on a year-for-year basis. The principles, practices, methods, and techniques of public administration; statistical techniques; principles and practices of supervision; language mechanics, report writing and research methods; federal and state employment regulations and guidelines. Perform technical public personnel work; gather and analyze data and prepare comprehensive reports; understand and interpret difficult regulations and technical information; express oneself clearly and concisely, both orally and in writing; establish and maintain effective working relationships with other employees, departmental representatives and the public. Mobility-Constant operation of keyboards; frequent sitting for long periods of time, frequent standing and walking; occasional pushing, pulling, bending, squatting and crawling; frequent driving; Lifting-Frequently 30 pounds or less; Vision-Constant use of good overall vision; frequent reading/close-up work; occasional color, depth, and peripheral vision; Dexterity-Frequent repetitive motion; frequent writing; occasional grasping, holding, reaching; Hearing/Talking-Frequent talking/hearing in person, in large meetings and on the telephone; must be sufficient to enable taking accurate, detailed notes at meetings; Emotional/Psychological-Frequent decision making and constant concentration; frequent public contact and working alone; occasional working nights, weekends and traveling; Environmental-Frequent exposure to noise.